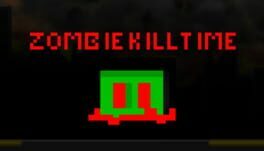 Short arcade game with handcrafted pixel art graphics. You play as Lily who traverses the dark corners of the basement under her house in search of her lost teddy bear. Inspired by some of the greatest fears from our childhood. 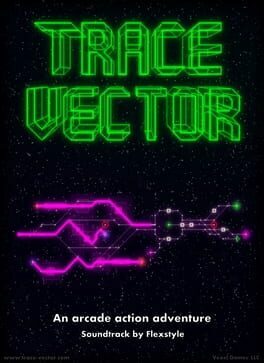 Trace Vector is a high speed action arcade game with puzzle elements. Featuring a modern take on vector style graphics, Trace Vector plays like an easy to learn, hard to master, game of the golden age of the 80′s video arcades. Race your space ship through each geometric level grabbing extra fuel cells along the way. Reach a viable goal to shatter the networks' hold on your ship and increase your speed. Simple controls keep you focused on navigating the increasingly complex webs at ever increasing speeds. Collect fuel cells and warp time to assist in the precision maneuvering needed to ace a level! Warping time quickly exhausts precious fuel. If you deplete your fuel and crash it's game over. Hyperspace networks have hazards at every turn. Dead end paths, barriers, and worm holes that can send you back in time and space increase the danger; forcing you to think ahead and be prepared to deal with your previous route through the network. Hyperspace is a strange place. Go forth brave pilot. Keep your wits in order, escape the neon labyrinths, and scavenge enough fuel to return home safely. Adventure Mode: A unique driving and evolving soundtrack designed for Trace Vector matches your progress through each of the twelve zones. Help Jason and his ship Aurora return to home planet by exploiting an ancient and hazardous hyper network! Your wits, reflexes, and rockin' tunes are your tools for survival in this high energy neon journey! Endless Mode: Go for distance! A continuously generated high speed level spans before you as gain speed and avoid crashing! Pass the previously set high score markers and take over the high score board! No quarters are required to retry. 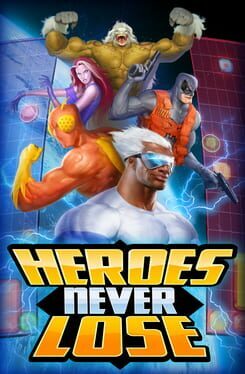 Heroes Never Lose: Professor Puzzler's Perplexing Ploy is a hero themed action-puzzle game with a super-powered twist! Go head to head against one of the super-powered citizens of Megalopolis, lining up blocks into combos and chains to charge up your super attacks and bury your opponent in blocks before they do the same to you! Each character possesses their own unique set of powers and abilities you can use to frustrate your opponent, just be ready when your challenger charges up and unleashes their own unique moves on you! 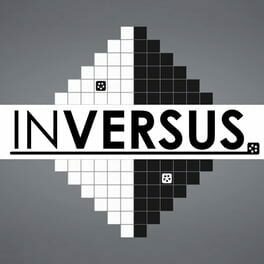 "INVERSUS is a minimalist action-strategy shooter for one to four friends. It's reminiscent of the board game Othello, except it's running in real time and everyone has guns. Player movement is constrained to opposite colors of a black and white grid. My walls are your paths and your walls are my paths. Each shot flips tile colors in an attempt to block, trap and close in on the enemy. Both online and local couch play are supported. The competitive versus mode pits players against each other in 1v1 or 2v2 battles. There are also single-player and two-player cooperative modes that mix the negative-space combat with a classic score-driven arcade game." LightFish is a highly addictive arcade game, where the user controls a small fish who lives in the abyssal deeps of the ocean... surrounded by deadly creatures. His objective is to destroy all the monsters who inhabit those dangerous zones by drawing lines onto unexplored territory. However, any enemy who manages to touch the Lightfish will kill him instantly. 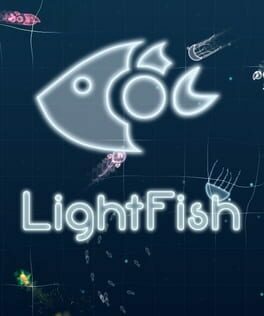 LightFish is a classic concept evolved into something new and exciting, with unique features and an original soundtrack. Immerse yourself in a colourful world full of beautiful yet deadly sea creatures and progress through the numerous levels the game offers. Help Zobillie reach the legendary meat farm. A long road ahead: a 90 complex levels full of puzzles and traps. The incredibly challenging and addictive Super Splatters! With elastic suicidal blobs and extraordinary liquid physics that actually affect the way you play, Super Splatters delivers fresh gameplay, ripe with tons of tricks to explore. Play it causally or get into the combo-hungry-fast-paced-action-packed-arcade-mayhem - it’s really up to you!